Slowly but surely the Giants roster is beginning to take shape. Following the reassignment of Joey Bart and Drew Ferguson going back to the Astros, the Giants have made another move to their roster. 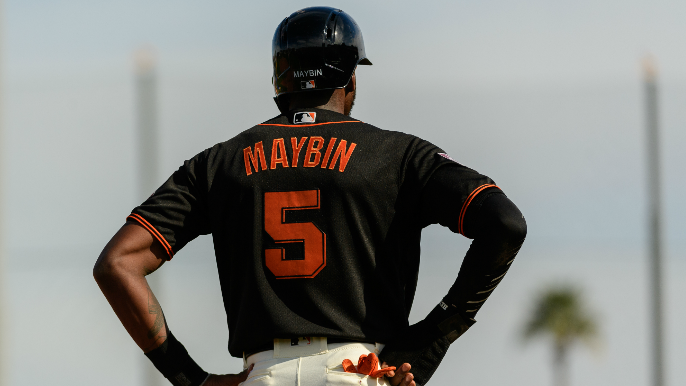 Maybin was the top contender to fill a big need with the Giants: a right-handed hitter capable of playing center field. He and Drew Ferguson washed out. That leaves Henry Ramos, or someone not in camp. Brandon Guyer, whom Chisox just released, fits the profile. Maybin was in the middle of the competition for a backup outfield spot and would have been a likely candidate to platoon with rookie Steven Duggar. Maybin had a very poor spring on and off the field. In 43 at-bats this spring, Maybin hit .163/.250/.233 with seven hits and one RBI. In addition to the poor production, Maybin also struck out 13 times (30%). Following Maybin’s release, the team will likely look to make another move in the outfield if a player becomes available. After picking up Matt Joyce and utility man Connor Joe, the Giants will continue to watch the waiver wire to add to the last-minute competition.